Here is a compilation of the last 13 photos on my camera roll for the month of July! Let me tell you it straight, it is dangerous thing to bring me into J.Crew because I'm bound to fall in love with anything and everything in their store. This week J.Crew has started to release their fall collection, and they have so many beautiful, classic, old and new pieces to get every preppy girl (and guy) through the fall. 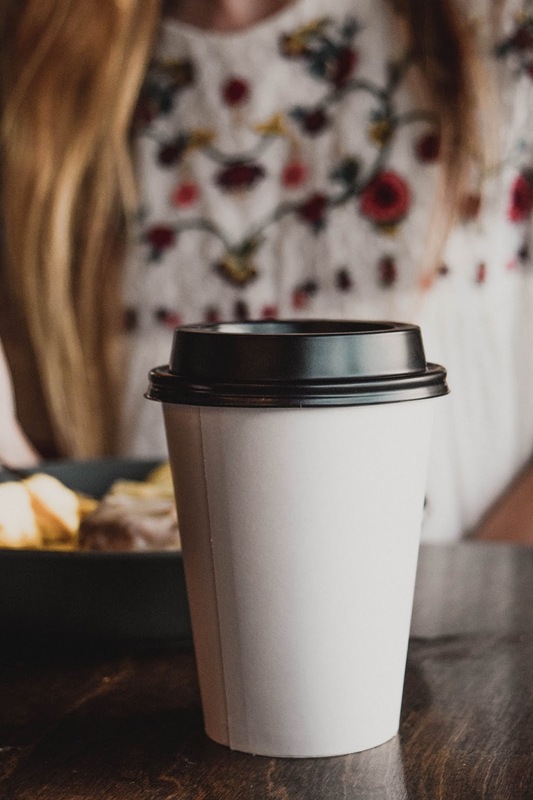 I have linked all of my favorite pieces at the end of this post! Now it's no secret that J.Crew's prices can be rather hefty sometimes, but then there is the beauty of J.Crew Factory. I personally prefer J.Crew Factory because I think their pieces are a little more trendy while still usually having the same J.Crew quality. 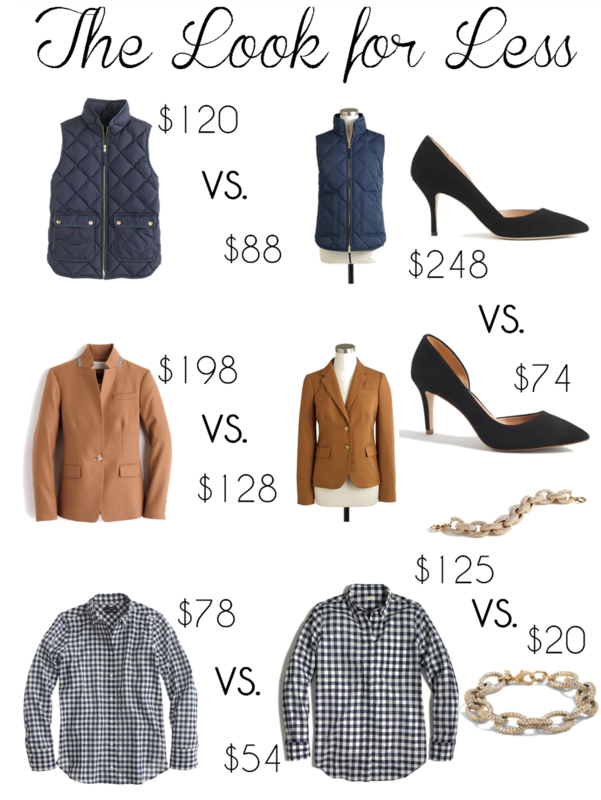 So I have decided to show y'all five ways to get the same J.Crew look for less with J.Crew Factory. This is actually the dress I wore for graduation back in May; I love the babydoll cut and the beautiful lace detailing at the bottom. This dress is absolutely perfect for the summertime and can be paired with any bright accessories for a nice pop of color. I love the beaded turquoise necklace since it gives a nice casual and summery pop of color. 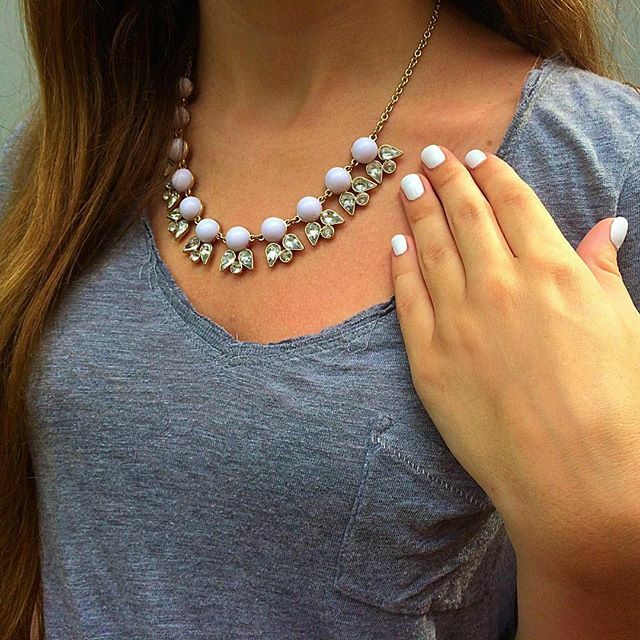 White and turquoise has always been a classic summer color combination. 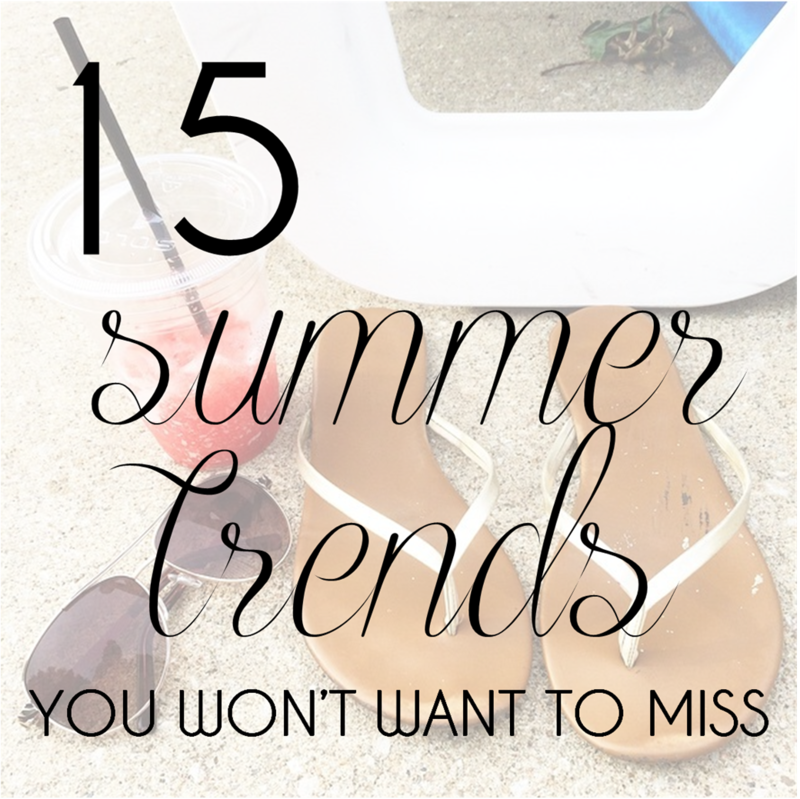 Who knew that a product you can find in your local grocery store would become one of this summer's hottest trends?! 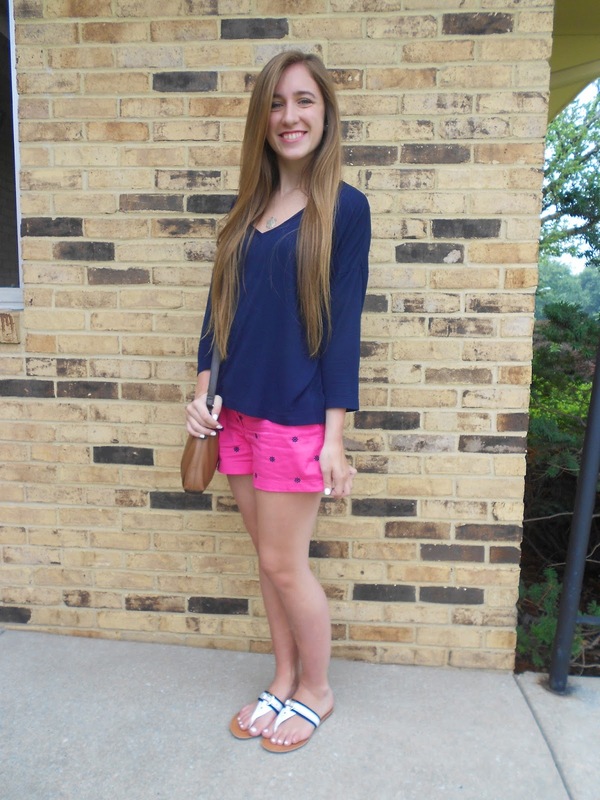 I actually bought this pineapple pocket tee last summer, but it has been a main staple of mine this summer due to the raging pineapple trend. I think this casual white tee is the perfect, subtle way to rock the pineapple trend without some people thinking you look like a 5 year old. If y'all haven't noticed already, there has been a reoccurring trend in my recent blog posts. A lot of my summer pieces this year have actually come from T.J. Maxx, including this bright green dress. I am not one who has a ton of money to dish out on clothes, so T.J. Maxx has been a best friend of mine lately; while it is a hit or miss store, when it's a hit day, the prices are truly unbeatable! 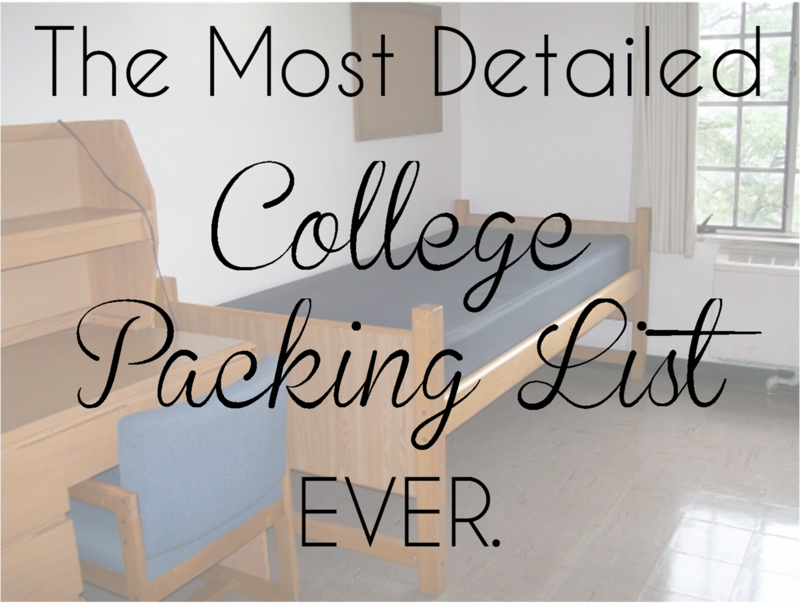 Hey y'all, today I'm sharing my packing list for college! This fall I'm going to be starting college, and let me tell you, I may be having too much fun with dorm shopping... Anyways! My roommate and I decided that we wanted a navy and coral color scheme, and I decided to throw in a lot of white and gold accents. Now before you read through this, remember that this is just what I have decided I will need/want next year, so be sure if you too are packing for college to customize to your own needs. Also, I have linked nearly everything to exactly what I got and/or what I use! Days spent at the pool are the best days in my book (like you didn't already know that), and what makes any pool day better is having a cute coverup to wear to and from the pool. 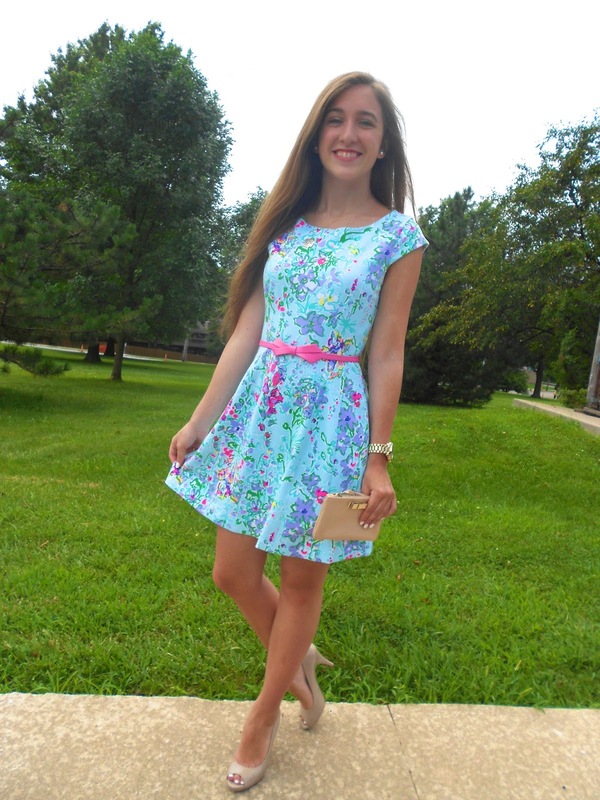 I got this super preppy "tank dress" from Lauren James. It's actually just an XL tank top, but hey, it gets the job done! Plus, I bought it back in January for only $13...you cannot beat a sale like that! While it is an absolutely gorgeous lavender color, my favorite part of it by far is the seersucker back! I love it, and what makes it even better is that the material of the tank is such good quality. I own a couple of their sweet tees as well, and I can honestly say I am never disappointed in the quality of their products. Three weeks ago Matthew's brother got married, and I was super excited when his family invited me to attend. But like any other girl I was kind of stressing over what I should wear, so I decided to share with y'all the two outfits I decided to wear over the weekend. I actually wore this outfit to the wedding rehearsal and rehearsal dinner, but I think it could definitely work for a casual daytime wedding. You know those backyard or outdoor weddings that are getting more and more popular? This would be the perfect outfit! Some days a girl just wants to be comfy and cute, and the perfect way to do so is to wear some embroidered chino shorts with a v-neck tee! 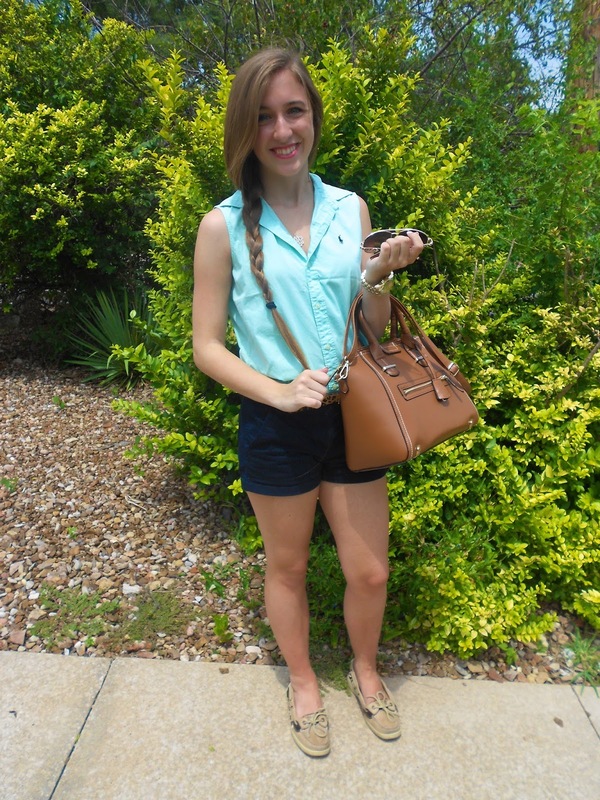 I love how relaxed this outfit looks while still looking preppy. 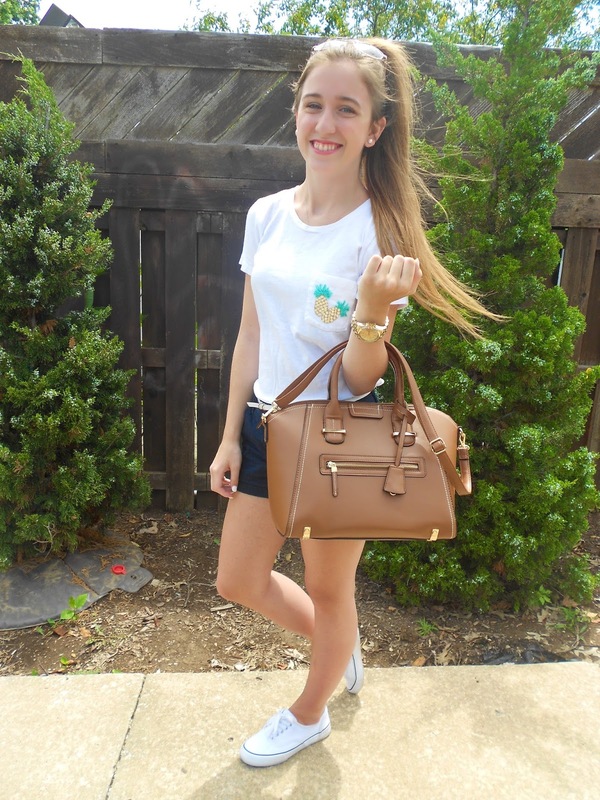 It's the perfect outfit to go run some errands in or for a casual date night. There's only 5 days left until the greatest sale of the year opens to the "public"! Although if you're a smart shopper, you wouldn't wait to fight the crowds at the picked over stores or click furiously only to find out what you want is sold out in your size; instead, you'd bite the bullet and become a Nordstrom cardholder so you could shop all the products early and not be quite so stressed. Most sales are exclusively for last season's items only, but what makes Nordstrom's Anniversary Sale SO EXCITING is that nearly all the products are new for this upcoming fall season! I promise you will not see these Kendra Scott, Tory Burch and Kate Spade products marked this low again! So whether you're a cardholder and ready to add items to your shopping bag now or not. I've listed my favorite finds below to help steer your way through the otherwise overwhelming sale. Tip: If you're not a cardholder, I would recommend at least figuring out exactly what you want so you don't waste any time before the sale opens to the public. You can browse the items here. I am one who tends to steer far far away from the color yellow, but when I saw the back of this blouse I couldn't resist trying it on! 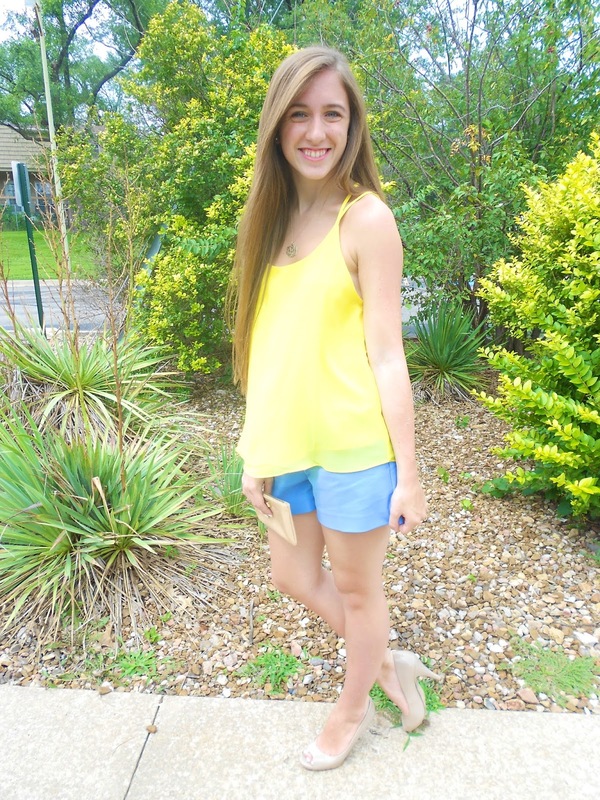 While yellow and periwinkle are not the most typical combination of colors, I think they are absolutely beautiful and bright enough for summer. 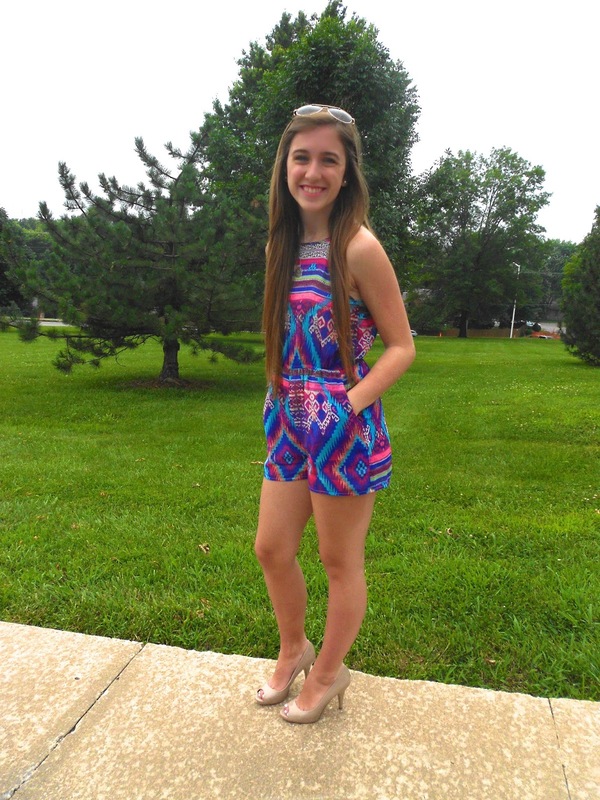 There is nothing I can find that screams summer more than neon and aztec print clothing, and this romper has them both! Once I saw this super bright romper on Spool No. 72's website I was in love. Then I saw it had pockets (POCKETS! ), and I was sold! Like come on, pockets is the best addition to any piece of women's clothing. Happy 4th of July everyone! Now it's hard to go wrong with a breezy sundress for any occasion, but it is especially appropriate for The Fourth! I thought today would be the perfect time to also pull in the blue and white trend that's been all the rave this summer. I just paired it with a couple red accessories, and BOOM, I'm patriotic! 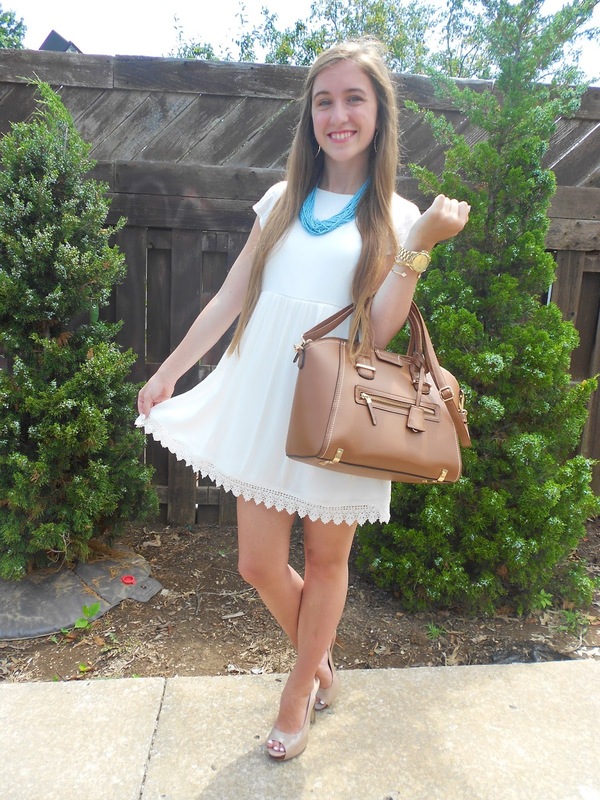 The 4th of July is the perfect time to break out your LWD (little white dress). All you have to do is throw some fun red and blue accessories with it and you're good to go! I love this white dress because it's such a darling way to rock the off the shoulder trend. To make this more daytime appropriate you could easily switch out the red heels and throw on some comfy sandals.